What are ureteral stones (ureterolithiasis)? Stones which form in the kidneys do not cause a problem unless they block the ureter. The majority of stones which form in both dogs and cats are calcium based although stones can also form secondary to urinary tract infections or other causes too. Calcium based stones cannot be dissolved with medication. Regardless of stone type, dissolution is not recommended if an obstruction is present. If a stone obstructs the ureter this results in back pressure on the kidneys which can result in progressive kidney failure. Obstruction of the ureter is most commonly due to stones but can also occur secondary to a stricture (scar tissue), blood clot or tumour. How can I tell if my pet has ureteral stones? Ureteral stones can be a life threating emergency with a marked increase in renal parameters on blood work. Due to the kidneys’ various roles in the body, animals with obstructive ureteral stones can be collapsed, vomiting and anaemic. Conversely many cases can present with normal blood work if the other kidney is functioning well and clinical signs can simply be a reduction in appetite or vague lethargy. How are ureteral stones diagnosed? Obstruction of the ureter is diagnosed by ultrasound and so all animals that present with increased kidney parameters on blood work should have an ultrasound performed as part of the standard investigation. 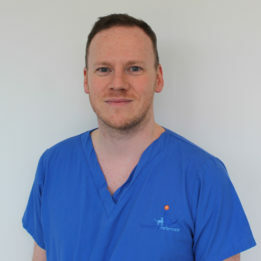 As the majority of stones contain calcium, they can normally be seen on x-ray and so this should ideally be performed in combination with ultrasound. How are ureteral stones managed? Using a combination of intravenous fluids, pain relief and muscle relaxants almost 10% of obstructive stones will pass into the bladder. Medical management should be attempted for no more than 72 hours in stable cases and for less time in emergency cases. Ureteral surgery was the traditional option for treating stones however due to the unacceptably high complication rate (20% of cases do not survive the surgery and typically 40% will obstruct again due to scar tissue formation at the surgical site) this is no longer recommended. A stent is a small tube which can be passed from the kidney to the bladder around an obstruction. These promote dilation of the ureter over time and may allow the stone to be passed. 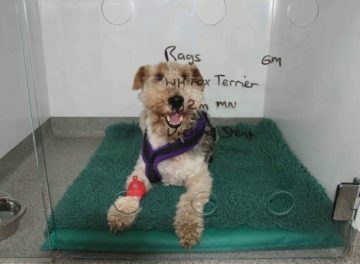 Stents can be placed via cystoscopy (a camera passed into the bladder) in female dogs and male dogs greater than 8kg in weight. Stents can be easily removed, so can either be placed as a permanent option or temporarily until an infection has been treated or stone dissolved. 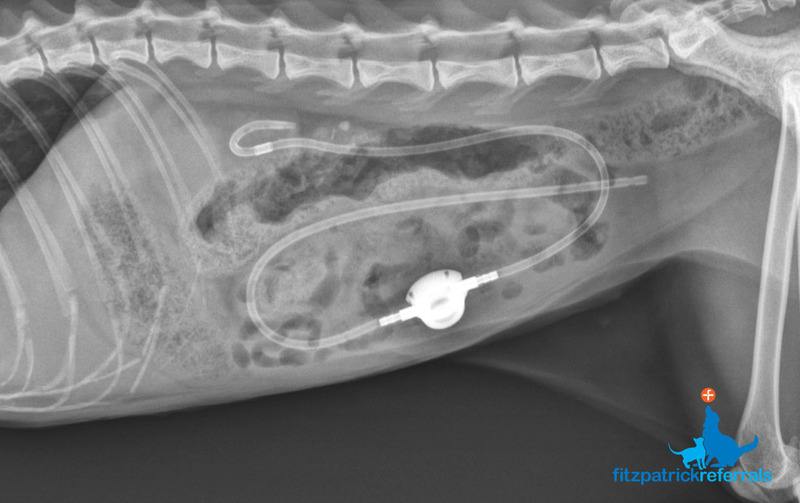 Stents are the preferred option for ureteral obstruction in dogs. 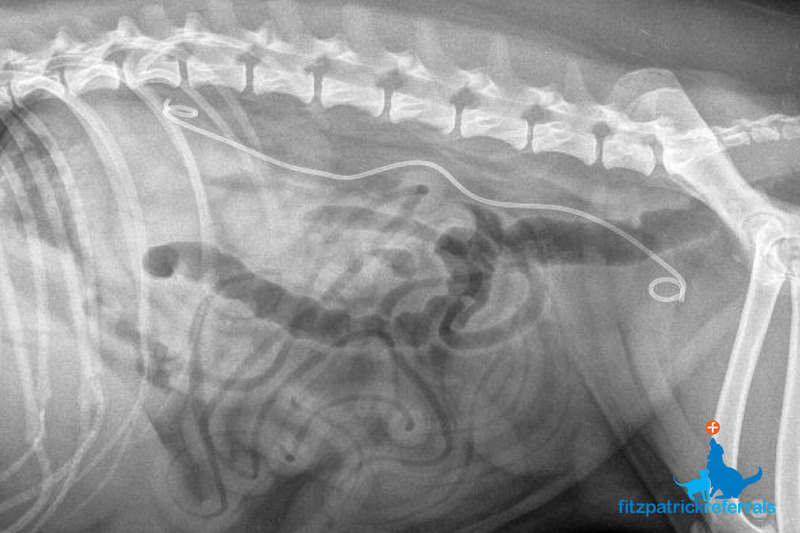 In cats, the SUB device is the recommendation for ureteral obstructions, as stents tend to cause bladder irritation. The SUB device is placed at surgery and allows urine to bypass the obstruction. A small port is placed in the abdomen to allow the device to be flushed and urine to be sampled as needed. The SUB device is associated with significantly fewer side effects than either the stent or traditional surgery in cats. Read more about Subcutaneous Ureteral Bypass (SUB). 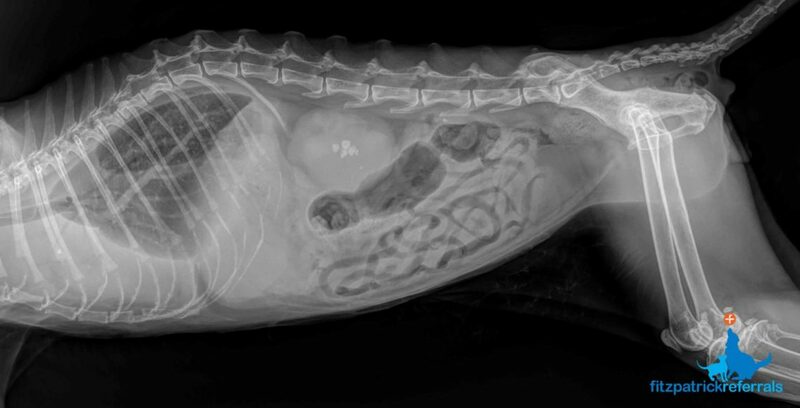 A radiograph showing kidney and ureteral stones in a cat. A radiograph showing placement of a ureteral stent from the kidney to the bladder. A radiograph showing placement of a SUB device for a ureteral stone. The SUB device is placed under fluoroscopy.